This screenshot of a custom tab on a client’s Facebook Fan Page exemplifies one of the cornerstones of my development approach: repurposing content. 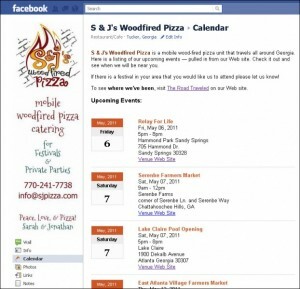 Using a custom-built CMS (Content Management System), Jonathan Seyfred (President and co-owner of S & J’s Woodfired Pizza – SJP) enters information about all of the festivals, farmers markets and catering engagements at which the company sells its homemade woodfired pizza. I created a Web page on SJP’s Web site (“On The Road“) which dynamically displays all of these events. I also created a standalone Web page (also on the SJP Web server) which uses programming scripts to select and display current and upcoming events from the events database table. 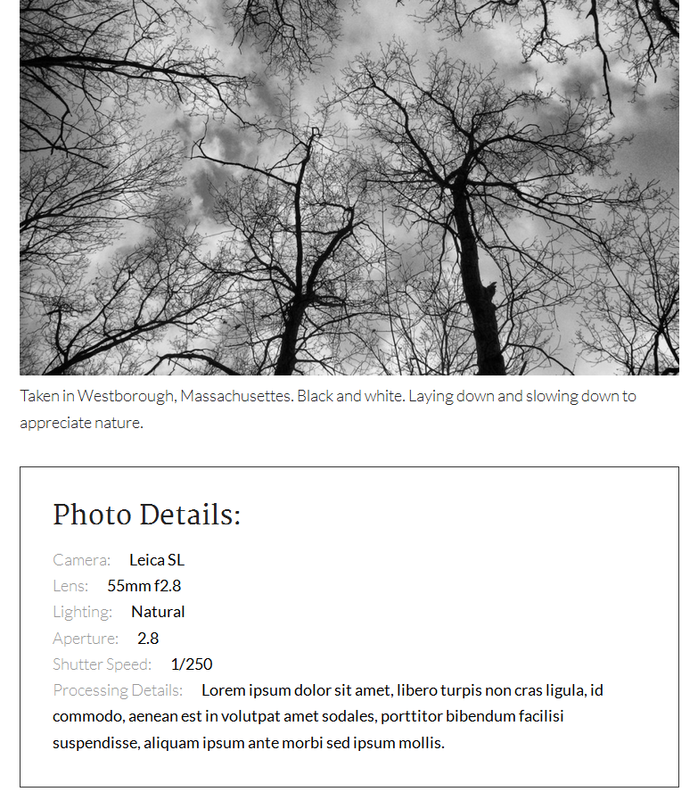 Then I created a Facebook iFrame application which pulls in that standalone Web page. Finally, I added the application as a custom tab on SJP’s Facebook Fan Page. We like to drive SJP’s Facebook Page fans to the SJP Web site whenever possible. But we also want to make it easy for those fans to know where SJP will be and when — without forcing them to leave Facebook. 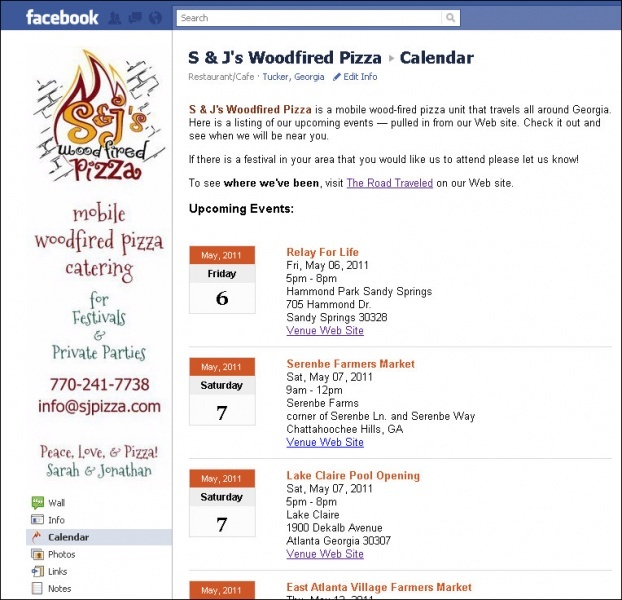 Are you leveraging your Web-site assets to make your Facebook Fan Page as robust as it can be? The best candidates for repurposable content from your Web site are anything that is stored in and displayed from a database. In addition to events, blog entries are, of course, an obvious choice. 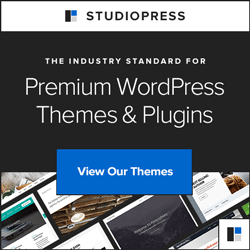 Does your Web site display content from a database? If so, have your Web developer create a custom tab (or tabs) in which to embed all or some of that content (or one item, randomly selected).